Did you know that you can use the formula for the area of a circle to find the formula for the volume of a cylinder? In this tutorial, you'll see how to do just that! 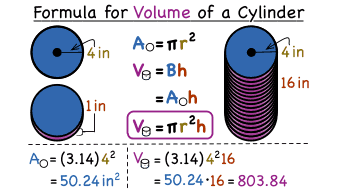 Watch this tutorial to learn about the formula for the volume of a cylinder.